An Iraqi family of a couple with a two-and-a-half year old child will be arriving from Jordan by way of Frankfurt on January 22nd. The refugee committee has been busy assembling furniture and household items to move into the new apartment for them. If you have or know someone who has 4 chairs and a bed appropriate for a young child, please contact Huguette right away or phone the congregation’s office at 604-261-7204. The family is originally from Iraq. Donations to support the Refugee Committee’s sponsorship efforts can be made to the church, marked “refugees” and are tax deductible. the Blended Visa Office Referral (BVOR) program, where you want to help somebody but you don’t care so much who. With the Private Sponsorship, the sponsors are legally responsible for 100% of the financial support for the first year; with BVOR, the sponsors are legally responsible for a portion (around 60%) of the financial support. With both Private and BVOR, the sponsorship group is responsible for 100% of the logistical and emotional support. The Unitarian Church of Vancouver, as a constituent of Canadian Unitarian Council (CUC), makes sure the sponsorship groups raise enough money to support the family, vets the sponsorship groups, holds the money, advises the sponsorship group, helps pick a family off an anonymized list (that only the SAH has access to), coordinates communication between the sponsorship group, CUC, and IRCC (Immigration, Refugees and Citizenship Canada), meets the family and signs the legal documents to formally take responsibility of the family at YVR airport, and passes along in-kind physical donations (like clothing/furniture/kitchen supplies) from UCV members, and provides more advice. And more advice. 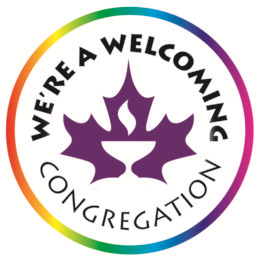 Ultimately the Unitarian Church of Vancouver is responsible if for any reason the sponsorship group is not able to meet the government requirements. 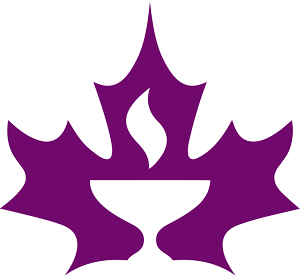 And the Canadian Unitarian Council is responsible if UCV is not able to meet the requirements. So we all work closely together to make sure everything is done well. And this works. Once the sponsorship group (which might be the Refugee Committee itself) finds out when the family’s plane will arrive, it kicks into high gear. For example, we got the news seven days in advance that the Eritream family of three would arrive on March 6, 2018. After we got the news, we arranged temporary housing, got them a phone and cell plan, stocked their temporary housing with some food, found a permanent apartment, helped them fill out a massive number of forms, helped them get Social Insurance (SIN) cards and a bank account, got them winter coats, took the father to a medical appointment, showed them how to use their debit cards to buy transit Compass Cards, took them shopping for essentials (like underwear! ), helped them phone their friends back in the camps, took them to the Ethiopian Church, and did a lot of talking, orienting, and many other details too minor to call out explicitly. Shortly after those urgent matters, we will co-sign the lease on their apartment, move donated furniture into the apartment, buy a small amount of furniture, help them buy groceries and cleaning supplies, help them register the boy for school, register for English classes, take a bus/Skytrain ride, get library cards, and get to eye and dental exams. Longer-term, we will check in periodically to make sure they are adjusting well and give help as needed (e.g. to help mediate disputes or help them find trauma counselling), and help them find jobs. As the leader of a sponsorship group, I am deeply grateful to the work the Refugee Committee does. Not only would it not be possible for us to sponsor a BVOR family without the Refugee Committee’s legal umbrella, it would have been much more difficult to muddle through without easy access to their institutional knowledge and large stockpile of donated objects. People ask: How can I help? For the family who just arrived, things are pretty much in hand. There are always expenses before, during and after the settlement, so donations to the UCV Refugee Fund is the most obvious way of helping. (Yes, tax receipts are issued). If you attend on Sundays, bring stuff for the thrift sale table and buy stuff. Julia absolutely refuses to give a “price”– it’s all by donation. All items that are donated find a good home. If they’re not needed by our refugee families, they’re sold at UCV. If they’re not sold after a while, they’re donated to the Mennonite Central Committee who ensure they’re used. Now, speaking of that table, Julia and George do a huge job storing, setting up, distributing items. If you have storage space or a way to transport items around, I’m sure they could use help. Help out at a fundraising lunch or event. The big ask is: When we have families arrive, they need temporary housing for about two weeks. On short notice. An even bigger ask: Form a group of five and take on the responsibility (and joy) of sponsoring a family. We can put you in touch with other leaders who can show you the ropes. It’s a big job–and a very rewarding one. The committee meets monthly: show up and learn more and you’ll see where the needs are. Do you have other questions or offers? Send an email and we’ll forward to the right people.